The doctoral thesis "Rural and Urban Water Budgets" - A description and characterization of different parts of the water budgets with special emphasis on combined overflows was presented in 1986 at Lund University. In 1988, William Hogland became a research leader at Waste Management and Recovery Division, Department of Water Resources Engineering at Lund University. Since then, Dr Hogland was a member of several national and international committees in both Urban Hydrology and Waste Management. In 1989, Dr Hogland started his activities in the International Energy Agency (IEA), Bioenergy Agreement on MSW as the chairman of the working group and liaison activities. He has experiences of teaching and researching in over 50 countries, and has been invited as a guest speaker at universities in 18 countries, among them Australia, Brazil, China, Germany, India, Thailand, Tunisia and USA. Since 1994, the research has mainly been directed to system analysis of waste management in industries and municipalities, natural systems for wastewater treatment and river catchments analyses. Hogland has published more than 400 reports and papers. He has also written textbooks and produced videos in the area of hydrology and waste management. Dr Hogland has also been employed as a lecturer and supervisor in several international courses in the area of water resources and waste management in developing countries. Hogland was the organizer of several international conferences such as “Latin American – Swedish Seminar on Waste Management” in Rio de Janeiro (1995), Brazil; “Kalmar Eco-Tech” in Kalmar (1997, 1999, 2001, 2003, 2005, 2007, and 2010), Sweden; the Youth Environmental Science Forum “EcoBaltica, St. Petersburg, Russia (1998, 2000, 2002, 2004, 2006 and 2008). From 1997 to 1999, Dr Hogland was an Acting Professor in Technical Environmental Science at the Department of Technology, University of Kalmar. In 1999, he was awarded the Chair of Environmental Engineering at the Department of Technology at Kalmar University. In 2000, he became the Head of the Department of Technology and also the Chairman of the Baltic Test Team at GIWA/UNEP (Global International Waters Assessment) conducting Assessment Protocol Testing and a representative of GIWA in the Core Group of the GEF Baltic Sea Regional Project (BSRP). During 2001 and 2002, William Hogland intensified his international research and education cooperation in the Baltic Sea Region, South East Asia and Latin America. In 2002, he became a member of the European Chemistry Thematic Network and has established the International Network on Sustainable Leachate and Waste Water Management Using High-Tech and Natural Systems. Since 2001 he is the Mentor/reviewer for the Swedish International Cooperation Agency (Sida) in their programme “Asian regional Research Programme on Environmental Technology (ARRPET)” which involves 20 National research Institutes in 8 Asian Countries. 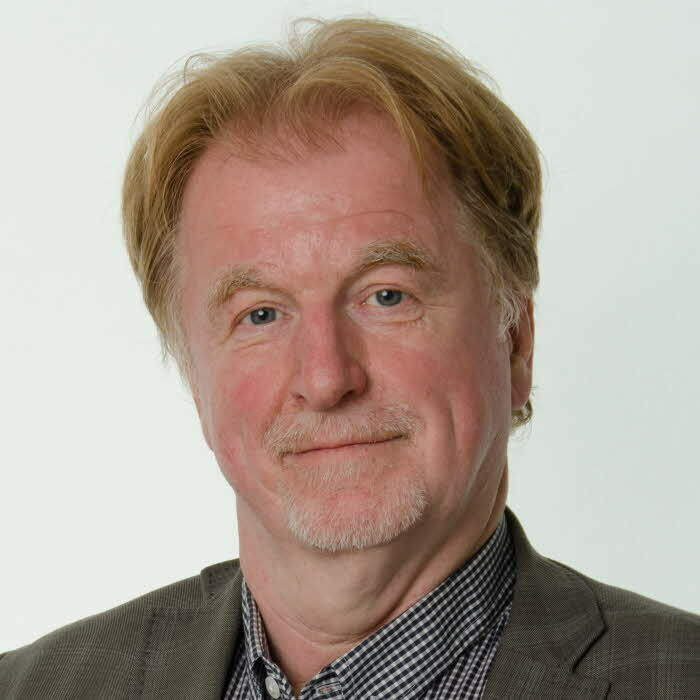 A dominating part of Dr Hogland recent research has been within the KK-research programme at Kalmar University “Industrial Development for a Sustainable Society – with emphasis on processes and Automated Systems for Recycling and Reuse”. Since 2002 he is the Chairman of the Baltic Sea Network for Leachate and Wastewater Treatment with emphasis on High-tech in Combination with Nature Based Systems and since 2004 he is the Chairman of the Baltic Sea Region-Ukrainian Network on Bioremediation and Treatment of Leachate from Landfills with Emphasis on Persistent Organic Compounds. He has increased his work inside the University as a member of the Board of the Faculty of Natural Sciences and Engineering and the Committee of the Research Education and profile work for Life and Environment just to mention some few. Beside treatment of leachate from landfills and storage of waste fuels by baling technique the research has been focus on the new areas as soil remediation with phyto-methods and artificial wetlands as well as integrated industrial water management. Also the research in the area of waste management economics has increased. In 2007 he got his second professor title, this in Eco-Technology with Focus on Innovation Systems at Mid Sweden University where he worked to August 2008. In 2008 he also became Editor in Chief for the Open Waste Management Journal. 2010 William Hogland became professor in Environmental Engineering and Recovery, at the School of Natural Sciences, Linnaeus University, Campus Kalmar, Sweden and Guest Professor at Beihua University in China. Rosenlund, J., Rosell, E., Hogland, W. (2017). Overcoming the Triple Helix Boundaries in an Environmental Research Collaboration. Science and Public Policy. 44. 153-162. Kaczala, F., Orupold, K., Augustsson, A., Burlakovs, J., Hogland, M., et al. (2017). Fractionation of Pb and Cu in the fine fraction (< 10 mm) of waste excavated from a municipal landfill. Waste Management & Research. 35. 1175-1182. Kaczala, F., Mehdinejad, M.H., Laane, A., Orupold, K., Bhatnagar, A., et al. (2017). Leaching characteristics of the fine fraction from an excavated landfill : physico-chemical characterization. Journal of Material Cycles and Waste Management. 19. 294-304. Bhatnagar, A., Kaczala, F., Burlakovs, J., Kriipsalu, M., Hogland, M., et al. (2017). Hunting for valuables from landfills and assessing their market opportunities : A case study with Kudjape landfill in Estonia. Waste Management & Research. 35. 627-635. Marchand, C., St-Arnaud, M., Hogland, W., Bell, T.H., Hijri, M. (2017). Petroleum biodegradation capacity of bacteria and fungi isolated from petroleum-contaminated soil. International Biodeterioration & Biodegradation. 116. 48-57. Stenis, J., Hogland, W. (2016). Cost-effectiveness of recycling and recirculation of natural and energy resources based on the equality principle. Environment, Development and Sustainability. 18. 95-109. Burlakovs, J., Kaczala, F., Vincevica-Gaile, Z., Rudovica, V., Orupold, K., et al. (2016). Mobility of Metals and Valorization of Sorted Fine Fraction of Waste After Landfill Excavation. Waste and Biomass Valorization. 7. 593-602. Vergeles, Y., Butenko, N., Ishchenko, A., Stolberg, F., Hogland, M., et al. (2016). Formation and properties of sediments in constructed wetlands for treatment of domestic wastewater. Urban Water Journal. 13. 293-301. Stenis, J., Hogland, W. (2015). Economising on energy flows at higher policy analysis organizational levels. International Journal of Energy, Environment and Economics. 23. 93-111. Svensson, H., Marques, M., Svensson, B., Mårtensson, L., Bhatnagar, A., et al. (2015). Treatment of wood leachate with high polyphenols content by peat and carbon-containing fly ash filters. Desalination and Water Treatment. 53. 2041-2048. Svensson, H., Hansson, H., Hogland, W. (2015). Determination of Nutrient Deficiency in Stormwater from the Wood Industry for Biological Treatment. CLEAN - Soil, Air, Water. 43. 38-43. Ibrahim, M.A., Hogland, W., Appel, G., Lönnermark, A., Persson, H. (2015). Combustion Characteristics of Municipal Solid Waste Bales. Fire technology. 5. 109-127. Rosenlund, J., Hogland, W., Johansson, A.W., Seddon, J. (2015). A cross-national environmental cluster collaboration : Shifting between an analytical and management level of the triple helix. Science and Public Policy. 42. 583-593. Abarca-Guerrero, L., Maas, G., Hogland, W. (2015). Desafíos en la gestión de residuos sólidos para las ciudades de países en desarrollo [Solid waste management challenges for cities in developing countries]. Tecnología en Marcha. 28. 141-168. Hansson, H., Kaczala, F., Marques, M., Hogland, W. (2015). Photo-Fenton and Fenton Oxidation of Recalcitrant Wastewater from the Wooden Floor Industry. Water environment research. 87. 491-497. Hansson, H., Kaczala, F., Amaro, A., Marques, M., Hogland, W. (2015). Advanced Oxidation Treatment of Recalcitrant Wastewater from a Wood-Based Industry : a Comparative Study of O3 and O3/UV. Water, Air and Soil Pollution. 226. Burlakovs, J., Kaczala, F., Orupold, K., Bhatnagar, A., Gaile-Vincevica, Z., et al. (2015). Field-portable X-ray fluorescence spectrometry as rapid measurement tool for landfill mining operations : comparison of field data vs. laboratory analysis. International Journal of Environmental Analytical Chemistry. 95. 609-617. Svensson, H., Hansson, H., Hogland, W. (2015). Combined Ozone and Biological Treatment of Oak Wood Leachate. CLEAN - Soil, Air, Water. 43. 598-604. Fathollahzadeh, H., Kaczala, F., Bhatnagar, A., Hogland, W. (2015). Significance of environmental dredging on metal mobility from contaminated sediments in the Oskarshamn Harbor, Sweden. Chemosphere. 119. 445-451. Kumar, E., Bhatnagar, A., Hogland, W., Marques, M., Sillanpää, M. (2014). Interaction of anionic pollutants with Al-based adsorbents in aqueous media – A review. Chemical Engineering Journal. 241. 443-456.
de Sa Salomao, A.L., Soroldoni, S., Marques, M., Hogland, W., Bila, D. (2014). Effects of single and mixed estrogens on single and combined cultures of D. subspicatus and P. subcapitata. Bulletin of Environmental Contamination and Toxicology. 93. 215-221. Stenis, J., Hogland, W. (2014). Economic optimization of landfill mining. The Journal of Solid Waste Technology and Management. 40. 389-398. Ibrahim, M.A., Hogland, W. (2014). Organizing preliminary storage sites of organic material, waste fuels and recyclables and their separating distance from populated areas. Journal of Material Cycles and Waste Management. 16. 270-281. Ibrahim, M.A., Alriksson, S., Sultana, N., Hogland, W. (2014). Perception of fire-risk at temporary storage sites of organic materials, waste fuels and recyclables. International Journal of Environment and Waste Management. 165-180. Fathollahzadeh, H., Kaczala, F., Bhatnagar, A., Hogland, W. (2014). Speciation of metals in contaminated sediments from Oskarshamn Harbor, Oskarshamn, Sweden. Environmental science and pollution research international. 21. 2455-2464. Laohaprapanon, S., Marques, M., Hogland, W. (2014). Anaerobic baffled reactor coupled with chemical precipitation for treatment and toxicity reduction of industrial wastewater. Environmental technology. 35. 154-162. Hansson, H., Marques, M., Laohaprapanon, S., Hogland, W. (2014). Electrocoagulation coupled to activated carbon sorption/filtration for treatment of cleaning wastewaters from wood-based industry. Desalination and Water Treatment. 52. 5243-5251. Ibrahim, M.A., Göransson, G., Kaczala, F., Hogland, W., Marques, M. (2013). Characterization of municipal solid waste temporary storage sites : Risks posed to surrounding areas as a consequence of fire incidents. Waste Management. 33. 2296-2306. Laohaprapanon, S., Marques, M., Kaczala, F., Hogland, W. (2013). Packed-Column of Granular Activated Carbons for Removal of Chemical Oxygen Demand from Industrial Wastewater. CLEAN - Soil, Air, Water. 41. 244-250. Ibrahim, M.A., Alriksson, S., Kaczala, F., Hogland, W. (2013). Fires at storage sites of organic materials, waste fuels and recyclables. Waste Management & Research. 31. 937-945. Hansson, H., Kaczala, F., Marques, M., Hogland, W. (2012). Photo-Fenton and Fenton Oxidation of Recalcitrant Industrial Wastewater Using Nanoscale Zero-Valent Iron. International Journal of Photoenergy (Online). 2012. Kaczala, F., Marques, M., Vinrot, E., Hogland, W. (2012). Stormwater run-off from an industrial log yard : characterization, contaminant correlation and first-flush phenomenon.. Environmental technology. 33. 1615-1628. Laohaprapanon, S., Kaczala, F., Salomon, P., Marques, M., Hogland, W. (2012). Wastewater generated during cleaning/washing procedures in a wood-floor industry : toxicity on the microalgae Desmodesmus subspicatus. Environmental technology. 33. 2439-2446. Stenis, J., Romanov, M., Hogland, W. (2011). Analysis and classification of the modern methods of ecological normalization of anthropogenic load : Russia vs. the West. Open Environmental Engineering Journal. 4. 181-189. Stenis, J., Hogland, W. (2011). Fire in waste-fuel stores: risk management and estimation of real. Journal of Material Cycles and Waste Management. 13. 247-258. Stenis, J., Mutavchi, V., Hogland, W. (2011). Solid waste management baling scheme economics methodology. Iranica Journal of Energy and Environment (IJEE). 2. 104-116. Kaczala, F., Salomon, P., Marques, M., Granéli, E., Hogland, W. (2011). Effects from log-yard stormwater runoff on the microalgae Scenedesmus subspicatus: Intra-storm magnitude and variability. Journal of Hazardous Materials. 185. 732-739. Laohaprapanon, S., Marques, M., Hogland, W. (2010). Removal of Organic Pollutants from Wastewater Using Wood Fly Ash as a Low-Cost Sorbent. CLEAN - Soil, Air, Water. 38. 1055-1061. Mutavchi, V.(.U.T.N.M.V., Stenis, J., Hogland, W., Shepeleva, A. (2010). Solid waste management by application of the WAMED model. Journal of Material Cycles and Waste Management. 12. 169-183. Kaczala, F., Marques, M., Hogland, W. (2010). Biotreatability of wastewater generated during machinery washing in a wood-based industry: COD, formaldehyde and nitrogen removal. Bioresource Technology. 101. 8975-8983. Soukand, U., Kängsepp, P., Kakum, R., Tenno, T., Mathiasson, L., et al. (2010). Selection of adsorbents for treatment of leachate: batch studies of simultaneous adsorption of heavy metals. Journal of Material Cycles and Waste Management. 12. 57-65. Karlaviciene, V., Svediene, S., Marciulioniene, D., Randerson, R., Riemika, M., et al. (2009). The impact of storm water runoff on a small urban stream. Journal of Soils and Sediments. 9. 6-12. Kaczala, F., Marques, M., Hogland, W. (2009). Lead and vanadium removal from a real industrial wastewater by gravitational settling/sedimentation and sorption onto Pinus sylvestris sawdust. Bioresource Technology. 100. 235-243. Mutavchi, V.(.U.T.N.M.V., Stenis, J., Hogland, W., Shepeleva, A., Andersson, H. (2008). Application of the WAMED Model to Landfilling. Journal of Material Cycles and Waste Management. 10. 62-70. Kängsepp, P., Svensson, B., Mårtensson, L., Rosenquist, D., Hogland, W., et al. (2008). Column studies aiming at identification of suitable filter materials for pollutant removal from landfill leachate. International Journal of Environment and Waste Management. 2. 506-525. Kriipsalu, M., Marques, M., Nammari, D.R., Hogland, W. (2008). Fate of polycyclic aromatic hydrocarbons during composting of oily sludge. Environmental technology. 29. 43-53. Nammari, D.R., Marques, M., Thörneby, L., Hogland, W., Mathiasson, L., et al. (2007). Emissions from baled municipal solid waste: I. Methodological approach for investigation of gaseous emissions. Waste Management & Research. 25. 39-48. Nammari, D.R., Thörneby, L., Hogland, W., Mathiasson, L., Mårtensson, L. (2007). Emissions from baled municipal solid waste: II. Effects of different treatments and baling techniques on the emission of volatile organic compounds. Waste Management & Research. 25. 109-118. Kriipsalu, M., Marques, M., Nammari, D.R., Hogland, W. (2007). Bio-treatment of oily sludge: The contribution of amendment material to the content of target contaminants and the biodegradation dynamics.. Journal of Hazardous Materials. 148. 616-622. Thörneby, L., Mathiasson, L., Mårtensson, L., Hogland, W. (2006). The performance of a natural treatment system for landfill leachate with special emphasis on the fate of organic pollutants. Waste management & research. 24 (2). 183-194. Hogland, W., Visvanathan, A., Marques, M., Manandhar, D.R. (2006). Landfill in Asia – Improving sanitation of landfill sites. The waste management world. 87-96. Marques, M., Hogland, W., Kriipsalu, M. (2005). Remediation of an oily leachate pond in Estonia. Waste management & research. 23. 541-549. Hogland, W., Marques, M., Nimmermark, S. (2004). Landfill mining and waste characterization: A strategy for remediation of contaminated areas. Journal of Material Cycles and Waste Management, Japan, Springer-Verlag, ISSN 1438-4957. 6. 119-124. Hogland, W., D. Lyberg, M. (2004). Performance of a Vertically Fed Compost Reactor. Compost Science & Utilization. 12 (2). 169-174. Nammari, D.R., Hogland, W., Marques, M., Nimmermark, S., Mutavchi, V.(.U.T.N.M.V. (2004). Emissions from a controlled fire in municipal solid waste bales. Waste Management. 24. 9-18. Nammari, D.R., Hogland, W., Marques, M., Nimmermark, S. (2004). Emissions from a controlled fire in municipal solid waste bales. Waste Management, Elsevier. 24. 9-18. Hogland, W., Marques, M. (2004). Physical, biological and chemical processes during storage and spontaneous combustion of waste fuel. Virtual Journal of Environmental Sustainability, Elsevier. 2 (1). Nammari, D.R., Hogland, W., Marques, M., Nimmermark, S. (2003). Physical and Chemical Processes in Baled Waste Fuel with Emphasis on Gaseous Emissions. Waste Management & Research. 21. 309-317. Marques, M., Hogland, W. (2003). Hydrological Performance of MSW Incineration Residues and MSW Co-disposed with Sludge in Full-scale Cells. Waste Management. 23. 469-481. Hogland, W., Marques, M. (2003). Physical, biological and chemical processes during storage and expontaneous combustion of waste fuel. Resources, Conservation and Recycling. 40 (1). 53-69. Thörneby, L., Hogland, W., Stenis, J., Mathiasson, L., Smogyi, P. (2003). Design of a Reverse Osmosis Plant for Leachate Treatment Aiming for Safe Disposal. Waste Management and Research. 21(5). 424-435. Hogland, W., Bramryd, T., Marques, M., Nimmermark, S. (2003). Physical, Chemical and Biological Processes for Optimizing Decentralized Small-scale Household Composting. Compost Science & Utilization. 11 (4). 330-336. Nammari, D.R., Hogland, W., Mutavchi, V.(.U.T.N.M.V., Marques, M., Nimmermark, S. (2003). Physical and chemical processes in baled waste fuel, with emphasis on gaseous emissions. Waste Management & Research. 21. 309-317. Hogland, W., Kriipsalu, M. (2002). Landfill mining and remediation old landfill sites in perspective of EU landfill directive. Sustainable Waste Management (Dhir, R.,K., Newlands, M.,D,Dyer,T.,D.,Eds. 311-219. Hogland, W. (2002). Remediation of an Old Landfill Site – Soil Analysis, Leachate Quality and Gas Production. Environmental science and pollution research international. Special Issue 1. 49-54. Stenis, J., Hogland, W. (2002). The Polluter-Pays Principle and its Environmental Consequences for Industrial Waste Management. Journal of Environment, Development and Sustainability. 4. 361-369. Marques, M., Hogland, W. (2001). Stormwater runoff and pollutant transport related to the activities carried out in a modern waste management park. Waste Management & Research. 19. 20-35. Bernstone, C., Dahlin, T., Ohlsson, T., Hogland, W. (2000). DC Rresistivity Mapping of Internal Landfill Structures: Two pre-excavation surveys. Environmental Geology. 39(3-4). 360-371. Hogland, W., Stenis, J. (1999). Assessment and system analysis of industrial waste management. Waste Management. 20. 537-543. Hogland, W., Bramryd, T., Persson, I. (1996). Physical, biological and chemical effects on unsorted fractions of industrial solid waste in waste fuel storage. Waste Management & Research. 14. 197-210. Cossu, R., Hogland, W., Salerni, E. (1996). Landfill mining in Europe and USA. ISWA Yearbook. 107-114. Hogland, W. (1995). The origin management of solid waste in Sweden. Environtech'95 Magazine BIOSFERA. 79-82. Ansbjer, J., Hogland, W., Tamaddon, F. (1995). Storage of waste-fuels with bailing technique. ISWA Times. Gomes, G., Hogland, W. (1995). Social and technical aspects of waste management in developing countries. ISWA Time. Tamaddon, F., Hogland, W. (1994). Technical and economical problems associated with plastic recycling. Iranian Journal of Polymer Science and Technology. 3. 6 pp. Hogland, W. (1994). Research on the role of landfilling in the eco cyclic society. ISWA Times. Hogland, W. (1994). Hydrological and environmental effects of agricultural and urban activities in a small swedish river basin. Nordic Hydrology. 25. 247-266. Hogland, W. (1994). Usefulness of selenium for the reduction of mercury emmission from crematoria. The Journal of Environmental Quality. 6. 1364-1366. Bengtsson, L., Bendz, D., Hogland, W., Rosquist, H., Åkesson, M. (1994). Water balance for landfills of different age. Journal of Hydrology. 158. 203-217. Tamaddon, F., Hogland, W. (1993). Review of cadmium in plastic waste in Sweden. Waste Management & Research. 11. 287-295. Hogland, W., Malm, J. (1988). A swedish technique for long-time storage of rainwater : full result from a full-scale plant. Journal of Applied Hydrology. 1. 17-23. Berndtsson, R., Hogland, W. (1985). Dator-modellering för bestämning av bräddning - Ett nytt Hjälpmedel vid Upprättandet av Saneringsplaner. Vann. 20. 107-112. Hogland, W., Berndtsson, R. (1983). Quantitative and qualitative characteristics of urban discharge to small river basins in the south west of Sweden. Nordic Hydrology. 14. 155-166. Berndtsson, R., Hogland, W. (1983). Quantitative and Qualitative Characteristics of Urban Discharge to Small River Basins in the South West of Sweden. Nordic Hydrology. 14. 155-166. Fadeenko, V.B., Rud', V.Y., Rud', Y.V., Glinushkin, A.P., Shpunt, V.C., et al. (2018). Photoluminescence spectroscopy features in the study of green leaves drying process. INTERNATIONAL CONFERENCE PHYSICA.SPB/2017. 1-5. Ibrahim, M.A., Laohaprapanon, S., Rupar-Gadd, K., Wiman, B.L., Hogland, W. (2015). Mitigating the emissions released from spontaneous fires at biomass storages : A footstep towards sustainability. 23rd European Biomass Conference and Exhibition, Vienna, Austria, 1-4 June 2015. 1550-1557. Kaczala, F., Orupold, K., Augustsson, A., Hogland, W. (2014). Speciation of Metals in the Fine Fraction of Solid Waste From an Excavated Landfill. .
Rosenlund, J., Johansson, A.W., Hogland, W. (2014). Interactive Research in a Triple Helix Based Environmental Collaboration. Triple Helix XII International Conference : The Triple Helix and Innovation-Based Economic Growth: New Frontiers and Solutions. Ibrahim, M.A., Hogland, W. (2013). Risk of Fires in Temporary Storages of Organic Materials and Waste Fuels: Lessons Learn in Past, Present and Future Perspectives. 8th International Technical Conference on Solid Waste (Jornadas Técnicas Internacionais de Resíduos - JTIR) : Waste Management for Resource Sustainability, July 16 – 18, 2013, Lisbon Portugal..
Burlakovs, J., Kriipsalu, M., Arina, D., Kaczala, F., Shmarin, S., et al. (2013). Former dump sites and the landfill mining perspectives in baltic countries and Sweden : The status. SGEM2013 Conference Proceedings. 485-492. Svensson, H., Hogland, W., Marques, M. (2011). Pilot scale wetland treatment of stormwater runoff from a log yard: preliminary results. 12nd International Conference on Urban Drainage, Porto Alegre/Brazil, 10-16 September 2011. Hogland, W., Manandhar, D.R., Krishnamurthy, V., Khanal, S.N. (2011). Use of HELP Model for Estimation of Leachate from a Pilot Scale Lysimeter..
Hogland, W., Svensson, H., Forest, A., Geoffre, M. (2010). Sawdust for Treatment of Stormwater . Test on Synthetic Stormwater Contaminated with Heave Metals. Ibrahim, M.A., Hogland, W., Elmberg, E., Lönnermark, A., Persson, H., et al. (2010). Storage Techniques for Municipal Solid Waste, Frequency of Fires, and Their Related Emissions. Proceedings of Venice 2010 - The Third International Symposium on Energy from Biomass and Waste, Venice, Italy, 8-11 November, 2010. 1-15. Hogland, W., Marques, M. (2010). Intergrated Water management in the Wood Manufacturing industry. Hogland, W., Marika, H., Marques, M. (2010). Financial aspects of landfill mining. . 2.1-2.4. Hogland, W., Marika, H., Marques, M. (2010). Enhanced Landfill Mining: Material recovery, energy utilization and economics in the EU (Directive) perspective.. Enhanced Landfill Mining and the transition of Sustainable Materials Management. : Proceedings of the International Academic Symposium on Enhanced Landfill Mining, Houthalen-Helchteren, Belgium. 209-222. Hogland, W., Manandhar, D.R., Hansson, H., Svensson, H., Mårtensson, L., et al. (2010). Environmental Observations of Solid Waste Management at High Altitude in Nepal: Case Study Along Trekking Route in Sagarmatha National Park. . 421-427. Hogland, W., Marika, H., Marques, M. (2010). Financial aspects on Landfill Mining seen as a part of the urban mining.. . 637-645. Hogland, W., Jopseph, K. (2010). Dumpsite rehabilitation studies in Asia. Hogland, W., Marques, M., Laohaprapanon, S., Kaczala, F. (2010). Removal of Organic Pollutants from Industrial Cleaning Wastewaters Using a Combined Sedimentation and Packed-bed Column Treatment. Kaczala, F., Hogland, W. (2009). Preliminary Evaluation of a Wastewater Pilot Treatment System in a Wood-based Factory: Use of low cost "non-conventional" Sorbents. International Journal of Ecological Engineering Monographs 56. Hogland, W., Marques, M., Kaczala, F., Laohaprapanon, S., Strömblad, A., et al. (2009). Planning and Communication for Development of an Integrated Approach for Industrial Wastewater Treatment System in the Wood-industry Sector-Process Water, Stormwater and Leachate.. CISA. Hogland, W., Kriipsalu, M., Nammari, D., Hogland, M. (2008). An integrated monitoring system for optimization of biopile composting..
Hogland, W., Marques, M. (2007). Fires in storage areas for organic waste. Proceedings of the International Conference on Sustainable Solid Waste Management. 189-196. Hogland, W., Marques, M. (2006). Integrated Industrial Water Management in Sweden. ECOBALTIC 2006 – The VI International Youth Environmental Forum, St. Petersburg. Hogland, W., Marques, M. (2006). Soil-Plant System Testing Area fro Assessment of environmental Effects of Leachate Irrigation after Landfill Closure. Simposio International de Tecnologias e Tratamento de Residuos Solidos. Hogland, W., Bakke, R. (2006). Environmental Engineering and Management Education. ECOBALTIC 2006 – The VI International Youth Environmental Forum, St. Petersburg. Winblad von Walter, J., Hogland, W. (2006). Stormwater Study at Shell Refinery in Gothenburg. ECOBALTIC 2006 – The VI International Youth Environmental Forum. Marques, M., Hogland, W., Smocking, G., Aguiar, R.C., Correa, M.S. (2006). Bioremediation of Oil-contaminates Sediments and Screening Procedure to Select Plant Species for Phytoremediation of Oil Contaminated Soils. Simposio International de Tecnologias e Tratamento de Residuos Solidos. Hogland, W., Marques, M. (2006). Bioremediation of Oil-contaminated Sediments. 4th CCMS/NATO Workshop on “Management of Industrial Toxic Wastes and Substances Research” –Advanced monitoring techniques of hazardous wastes. Karlaviciene, V., Hogland, W., Marciulioniene, D., Kazlauskiene, N. (2006). The Impact of Industrial Storm Water on Receiving Water Bodies. 3rd International Conference in Lithuania on Metals in the Environment. Kängsepp, P., Mathiasson, L., Hogland, W., Mårtensson, L., Yoshiguchi, H., et al. (2006). On-site Treatment of Leachate from Landfill of Metal Recycling Facility. Wastecon. Karlaviciene, V., Hogland, W., Krippsalu, M., Kängsepp, P. (2005). Pre-investigation of the Distribution of Heavy Metals at Metal Scrap Processing Plant. The 6 th International Conference “Environmental Engineering”. Marques, M., Hogland, W. (2003). Groundwater risk assessment for different waste stream disposal: Spillepeng landfill, Sweden. Eurowaste Proceedings Sardinia 2003: Ninth International Waste Management and Landfill, Sardinia, Italy, CD and Book of Abstracts. Hogland, W., Marques, M., Karlaviciene, V. (2003). Stormwater Runoff from Industrial Areas and Pollution Transport. Luleå University of Technology, Proceedings 1st International Conference on Urban Drainage and Highway Runoff in Cold Climate 25-27 March, 2003 p 117-131. Hogland, W. (2003). Evaluation Bases of Ecological-Economic Effectiveness of Solid Waste Management Schemes. Eurowaste Proceedings Sardinia 03, Ninth International Waste Management and Landfill Symposium, Sardinia, Italy. Kängsepp, P., Hogland, W., Mathiasson, L. (2003). An Industrial Leachate Treatment System Based on the Filter-bed Techniques. Eurowaste Proceedings Sardinia 2003, Ninth International Waste Management and Landfill Symposium. Hogland, W. (2003). Excavation of Cover Material from Old Landfills. Thomas Telford Publishing Proceedings of International Symposium Advances in Waste Management and Recycling, Dundee, UK. Hogland, W., Thörneby, L., Mathiasson, L. (2003). Water Budget for a landfill Leachate Treatment System. CISA, Proceedings Sardinia 2003, Ninth International Waste Management and Landfill Symposium CD + Book of Abstracts. Hogland, W., Marques, M. (2003). Drinking water pollution - from the source to the tap: natural and anthropogenic sources. CCMS NATO Proceedings CCMS NATO Workshop on Management on Industrial Toxic Wastes and Substances Research: Natural and Drinking Water Contamination from Toxic and Hazardous Wastes. Hogland, W. (2003). Remediation of Oil Ponds in Municipal Landfills: A Case Study at Laguja Landfill in Estonia. CISA, Proceedings Sardinia 2003, Ninth International Waste Management and Landfill Symposium CD + Book of Abstracts. Nammari, D.R., Hogland, W. (2003). Storage of Municipal Solid Waste: A Walk through History and an Outlook into the Future. Proceedings of the 8th Polish-Danish Workshop on Biomass for Energy. Hogland, W. (2002). Temperature regime in a field-scale bioremediation of oil-polluted soils. University of Kalmar Proceedings Ecobaltica 02. Hogland, W. (2002). Remediation of polluted soils. University of Kalmar Proceedings Ecobaltica'02, St Peterburg, Russia. Hogland, W., Kängsepp, P., Thörneby, L. (2002). Development of sustainable water treatment and water quality control systems: leachate treatment from municipal solid waste and industry landfill. APLAS APLAS Seoul 2002, the 2nd Asian Pacific Landfill Symposium, September 25-28, 2002, Seoul, Korea. Marques, M., Hogland, W. (2002). Decentralized Composting Process in Small Scale for Household Waste in Urban Areas (Processo descentralizado de compostagem em pequena escala para resíduos sólidos domiciliares em áreas urbanas, in Portuguese). XXVIII Interamerican Congress of Sanitary and Environmental Engineering. Marques, M., Hogland, W. (2002). Mass balance for heavy metals in a wastewater treatment plant (Balanço de massas para metais pesados em uma planta de tratamento de águas residuárias municipais. In Portuguese). Interamerican Association of Sanitary and Environmental Engineering-AIDIS Proceedings XXVIII Congreso Interamericano di Ingeniería Sanitaria y Ambiental. Hogland, W., Kängsepp, P., Mathiasson, L., Mårtensson, L., Svensson, B., et al. (2002). Persistent Organics in Leachate from Industrial Landfill. Wastecon 2002 International Waste Congress and Exhibition 2. Hogland, W. (2002). Sweden as example to introduce solid waste technology and management in European countries. The Second Workshop on Solid Waste Landfill Management under the Asian Regional Research Program on Environmental Technology, 18-20 October 2002, Tongji University, Shanghai, China. Hogland, W., Kängsepp, P. (2002). Removal of heavy metals from industrial landfill leachate. APLAS Seoul 2002, the 2nd Asian Pacific Landfill Symposium, September 25-28, 2002, Seoul, Korea. Hogland, W. (2001). EU landfill of waste directive and its implementation. In: Seminar and Short Course on Asian Perspective in Integrated Solid Waste Management. Lyberg, M., Hogland, W., Nimmermark, S., Carius, S. (2001). Performance of Composting in a Vertically Fed Reactor - Modelling of Heat and Enthalpy Transfer. Eurowaste The 8th International Waste Management and Landfill Symposium, Sardinia, Italy. Hogland, W. (2001). Remediation of old landfill site - soil analysis, leachate quality and gas production. First Baltic Symposium on Environmental Chemistry, 26-29 September 2001, Tartu, Estonia The First Baltic Symposium on Environmental Chemistry. Hogland, W., Marques, M., Nimmermark, S. (2001). Risk of Fires in Storage with Baled Waste Fuels. Eurowaste Proceedings Sardinia 01, The 8th International Waste Management and Landfill Symposium, Sardinia, Italy. Hogland, W. (2001). Decentralised Small-scale Household Waste Composting for the Modern Sustainable Society. Cleaner Production ERCP 2001, the 7th European Roundtable on Cleaner Production. Hogland, W. (2001). Remediation of Polluted Soils with Focus on Landfill Mining. Workshop on Remediation of Polluted Soils with Focus on Landfill Mining Management of Industrial Toxic Wastes and Substances Research – Bioremediation and Polluted Ecosystems, the 2nd CCMS/NATO Workshop. Hogland, W., Kriipsalu, M. (2001). Effects of the Structure of the Material on Bioremediation of Oil Polluted Soil. Case Sudy - Experience from Studies in Estonia and Sweden. Eurowaste Proceedings Sardinia 03, The 8th International Waste Management and Landfill Symposium, Sardinia, Italy. Hogland, W. (2001). EU-directives on waste management and cleaner environment for the Baltic region. Proceedings 1st International Symposium on Environmental Problems in the Baltic Region States, 17-18 September 2001, Siauliai, Lithuania. Hogland, W. (2001). Landfill mining and remediation of soils. The 2nd CCMS/NATO Workshop on Management of Industrial Toxic Wastes and Substances Research. Bioremidiation of Polluted Ecosystems, Istituto "Le Monacelle", Matera, Italy, 20 December 2001 Proceedings, The 2nd CCMS/NATO Workshop. Hogland, W., Pohl, E., Marques, M. (2001). The resurrection of used thermoplastics to minimize the lifecycle environmental impact of building materials. Cleaner Production Proceedings 7th Roundtable on Cleaner Production, Sustainable Production and Consumption Systems-Cooperation for Change, Lund, 2-4 May. Thörneby, L., Mathiasson, L., Hogland, W. (2001). Combination of reverse osmosis and natural treatment systems to reduce untreated leachate effluent to zero. 1st International Symposium on Environmental Problems in the Baltic Region States. Hogland, W., Kängsepp, P. (2001). Treatment of leachate from a car wrecking landfill in Sweden and laboratory tests of Estonian landfill leachate. 1st International Symposium on Environmental Problems in the Baltic Region States, 17-18 September 2001, Siauliai, Lithuania. Hogland, W., Marques, M. (2001). Landfilling in Sweden - from city dump to waste management park. Interamerican Association of Sanitary and Environmental Engineering AIDIS Proceedings XXII Central American Congress of Sanitary Engineering and Environment. Marques, M., Hogland, W. (2000). Surface runoff quality in regard to different activities carried out in a landfill in Sweden. International Solid Waste Association ISWA Proceedings ISWA World Congress 2000, Paris. Hogland, W., Marques, M., Nimmermark, S. (2000). Baling of Waste Fuels: Risk of Fire. The 7th Danish-Polish Workshop on Biomass for Energy. Hogland, W., Marques, M. (2000). Deponins roll i framtiden (The importance of landfilling as a waste management method in future). Proceedings of Elmia Waste and Recycling (in Swedish). Hogland, W. (2000). Leachate treatment in Sweden and some other parts of the world - an overview of research activities. Seminar "Local Treatment of Leachate - Characterisation, Experiences and Future ". Hogland, W., Marques, M., Paulsson, B. (2000). Waste Management in the Baltic Sea Region. ISWA World Congress 2000. ISWA in press. Marques, M., Hogland, W. (2000). Leachate Modelling in Full-Scale Cells Containing Predominantly MSW Incineration Residues. Proceedings Sardinia 99: The Seventh International Waste Management and Landfill Symposium I.
Hogland, W., Marques, M., Vukoviæ, M. (2000). Water and wastewater management in Sweden. Associación Interamericana de Ingeniería Sanitaria y Ambiental-AIDIS XXII Congreso Centroamericano de Ingenieria Sanitária. Hogland, W., Marques, M., Bramryd, T. (1999). Optimised Composting of Source-separated Organic Fractions of Household Waste in a Vertically Fed Reactor System. Sardinia'99, The 7th International Waste Management and Landfill Symposium. CISA Vol. V: 391-398. Grover, V., Hogland, W., Marques, M. (1999). Baling Storage Method: Past, Present and Swedish Experience. 6th Danish-Polish Workshop on Biomass for Energy. Hogland, W., Marques, M., Fejes, J. (1999). Urban Water Management in Sweden: Past, Present and Future - Country paper of Sweden. Urban Water Management, The 6th EurAqua Scientific and Technical Review. EurAqua in press. Carius, S., Hogland, W., Jilken, L., Mathiasson, A., Andersson, P. (1999). A Hidden Waste Material Resource: Disposed Thermoplastics. Sardinia´99, The 7th International Waste Management and Landfill Symposium Vol V.
Thörneby, L., Hogland, W., Persson, W., Alm, E. (1998). Constructed wetlands as a treatment method for landfill leachate. Proceedings of the Seminar on Waste Management and the Environment I.
Hogland, W. (1998). Baled Waste at a Thermal Power Station in Umeå, Northern Sweden. Proceedings, The 5th Polish-Danish Workshop on "Biofuels". Hogland, W., Nimmermark, S. (1998). Assessment of Waste Masses in Old Landfills in Sweden. Proceeding of the 2nd International Youth Environmental Forum ECOBALTICA´98. Hogland, W., Marques, M., Thörneby, L. (1998). Landfill mining-space saving, material recovery and energy use. Proceedings of the Ecological Symposium. Hogland, W. (1998). Studies of waste fuel stored in bales in Umeå. Elmia Waste & Recycling 98. Hogland, W., Marques, M., Thörneby, L. (1997). Landfill mining - space saving, material recovery and energy use. Proceedings of the Seminar on Waste Management and the Environment pp. 339-355. Hogland, W. (1997). Säker lagring av avfallsbränslen genom utnyttjande av balningsteknik (Safe storage of waste fuel using baling technique). Proceedings of DAKOFA Conference on Stop for Landfilling of Combustible Waste (DAKOFA Konference om Stop for Deponering – af Frobraendningsegnet Affald (in Danish). Montvydiene, D., Marciulioniene, D., Karlaviciene, V., Hogland, W. (2008). Phytotoxicity Assessment Of Effluent Waters, Surface Water And Sediments. Dangerous Pollutants (Xenobiotics) in Urban Water Cycle : NATO Advanced Research Workshop on Dangerous Pollutants, (Xenobiotics) in Urban Water Cycle Location: Lednice, CZECH REPUBLIC, MAY 03-06, 2007. Springer Netherlands. 171-180. Hogland, W., Nammari, D.R., Nimmermark, S., Marques, M., Mutavchi, V.(.U.T.N.M.V. (2002). Baled MSW and associated problem, in the context of fire hazard. Recovering Energy from Waste: Various Aspects. Science Publishers Inc.. 223-245. Hogland, W., Larsson, M., Berndtsson, R., Enell, M. (1993). Assessment of stormwater pollution transport to Swedish coastal waters. Integrated stormwater management. Boca Raton, Lewis Publishers. 81-91. Bhatnagar, A., Kaczala, F., Hogland, W., Marques, M., Paraskeva, C.A., et al. (2014). Valorization of solid waste products from olive oil industry as potential adsorbents for water pollution control-a review. Environmental science and pollution research international. 21. 268-298. Svensson, H., Marques, M., Kaczala, F., Hogland, W. (2014). Leaching patterns from wood of different tree species and environmental implications related to wood storage areas. Water and Environment Journal. 28. 277-284. Kumar, E., Bhatnagar, A., Hogland, W., Marques, M., Sillanpaa, M. (2014). Interaction of inorganic anions with iron-mineral adsorbents in aqueous media - A review. Advances in Colloid and Interface Science. 203. 11-21. Bhatnagar, A., Hogland, W., Marques, M., Sillanpaa, M. (2013). An overview of the modification methods of activated carbon for its water treatment applications. Chemical Engineering Journal. 219. 499-511. Guerrero, L.A., Maas, G., Hogland, W. (2013). Solid waste management challenges for cities in developing countries. Waste Management. 33. 220-232. Svensson, H., Svensson, B., Hogland, W., Marques, M. (2012). Acute Toxic Effects Caused by Leachate from Five Different Tree Species on Artemia Salina and Vibro Fischeri. Journal of Biobased Materials and Bioenergy. American Scientific Publishers. 6. 214-220. Hogland, W., Nammari, D.R., Sandstedt, K., Stenis, J. (2006). Branden i CemMiljös Avfallslager i Ålborg - Det brinner!. RVF-NYTT. 5. 31-33. Hogland, W., Marques, M. (2004). Material recycling sites as pollution sources: Increased need for knowledge transfer. The Parliament Magazine, ISSUE 188. Gomes, M., Hogland, W., Persson, K., Thörneby, L. (1996). Landfill leachate management : Treatment options and economic aspects. Asia Pacific Tech Monitor. 13. 9. Laohaprapanon, S., de Sa Salomao, A.L., Marques, M., Hogland, W. (2012). Toxicity evaluation in wastewater treatment process. . 185. Laohaprapanon, S., Kaczala, F., Salomon, P., Marques, M., Hogland, W. (2012). Toxicity on the Microalgae Desmodesmus subspicatus: Wastewater Generated during washing procedures in a Wood-floor industry. .
Rosenlund, J., Marques, M., Hogland, W., Babkin, A., Rud, V. (2012). Cooperation between cities Kalmar and Saint Petersburg for effective integration of science, education and business to develop environmental protection and green technology. Linnaeus Eco-Tech 2012. Rosenlund, J., Hogland, W. (2012). Environmental practice and social scientific research in a Triple Helix platform. Linnaeus Eco-Tech 2012. Hansson, H., Kaczala, F., Marques, M., Hogland, W. (2012). Photo-fenton and fenton oxidation of recalcitrant industrial wastewater. Proceedings / Linnaeus ECO-TECH 2012, international conference on natural sciences and environmental technologies for waste and wastewater treatment, remediation, emissions related to climate, environmental and economic effects ; the eighth International Conference on the Establishment of Cooperation between Companies and Institutions in the Nordic Countries, the Baltic Sea Region, and the World, November 26-28, 2012, Kalmar, Sweden. 187. Laohaprapanon, S., Marques, M., Hogland, W. (2012). Studies on treatment of urea-formaldehyde based wastewater using anaerobic baffled reactor (ABR): COD and formaldehyde removal. .
Sultana, N., Ibrahim, M.A., Hogland, W. (2012). Web usability evaluation to promote public responsibility for municipal waste and resource efficiency. PROCEEDINGS LINNAEUS ECO-TECH 2012, INTERNATIONAL CONFERENCE ON NATURAL SCIENCES AND ENVIRONMENTAL TECHNOLOGIES FOR WASTE AND WASTEWATER TREATMENT REMEDIATION EMISSIONS RELATED TO CLIMATE ENVIRONMENTAL AND ECONOMIC EFFECTS : The Eighth International Conference on the Establishment of Cooperation between Companies and Institutions in the Nordic Countries, the Baltic Sea Region, and the World. Rosenlund, J., Hogland, W. (2011). The Triple Helix model applied in the Kalmar region in Sweden. ECOBALTICA 2011 : The VIII International Youth Environmental Forum. 71-77. Kaczala, F., Marques, M., Hogland, W. (2010). Biotreatability of wastewater generated during machinery washing in wood-floor industries. Proceedings of the 5th International conference of Environmental Science and Technology, American Academy of Sciences, 12-17 July – 2010, Houston, Texas –USA. IC EST2010. Hogland, W., Karlaviciené, V., Rudzeviciünté, R., Rimeika, M., Reinkyté, M. (2010). An Evaluation of the Urban Stormwater Runoff Pollutant Removal Effieciency with a Focus on the Retention Time. Proceedings Linnaeus Eco-Tech' 10 : [book of abstracts] : international conference on natural sciences and technologies for waste and wastewater treatment remediation emissions related to climate environmental and economic effects : the seventh International Conference on the Establishment of Cooperation between Companies and Institutions in the Nordic Countries, the Baltic Sea Region and the World. Ibrahim, M.A., Hogland, W., Elmberg, E., Lönnermark, A., Persson, H. (2010). Fires due to selfignition in (MSWS) municipal solid waste storages. Proceedings Linnaeus Eco-Tech' 10 : : international conference on natural sciences and technologies for waste and wastewater treatment remediation emissions related to climate environmental and economic effects. 734-744. Hogland, W. (2009). Landfill mining in the global scale from an environmental and economic perspective. Proceedings of Polish Scientific Conference v.56. 147-153. Kaczala, F., Hogland, W. (2009). Preliminary evaluation of a wastewater pilot treatment system in a wood-based factory : Use of low cost "non-conventional" sorbents. Proceedings of Polish Scientific Conference v.56. 178-187. Kaczala, F., Hogland, W., Marques, M. (2009). An Integrated approach for industrial wastewater and stormwater management in a wood-based factory : Feasibility of using "non-conventional" sorbents in a pilot scale plant. book of abstracts, the 1st International Conferencde on Advances in wastewater treatment and reuse. 33. Kaczala, F., Marques, M., Hogland, W. (2009). The removal of Lead and Vanadium from an Industrial (In Portuguese). ABES. Kaczala, F., Hogland, W. (2009). Preliminary evaluation of a wastewater pilot treatment system ina wood-based factory: Use of low cost “non-conventional” sorbents.Preliminary evaluation of a wastewater pilot treatment system ina wood-based factory: Use of low cost “non-conventional” sorbents.. International Journal of Ecological Engineering Monographs - Polish Academy ofSciencesPolish Academy ofSciences. Vol 56. Kaczala, F., Marques, M., Hogland, W. (2009). The removal of Pb and V from an industrial effluent by sorption onto Pinus sylvestris sawdust.. 25 Congresso Brasileiro deEngenharia Sanitária e Ambiental. 20-25 Setembro, 2009. Recife-Brasil..
Hogland, W., Hogland, M., Berg, B., Marques, M. (2009). Planning of and economic constrains related to a landfill mining project in Norway. Proceedings Sardinia 2009. 10. Hogland, W., Hogland, M., Marques, M., Berg, B. (2009). PLANNING AND ECONOMIC CONSTRAINTS IN A LANDFILL MINING PROJECT IN NORWAY. .
Hogland, W., Lönnermark, A., Marques, M., Persson, H. (2009). Storage of Organic Materials, solid waste and Biofuels : Risks for fires and fire fighting. Proceedings Sardinian 2009. 10. Hogland, W., Joseph, K. (2008). Dumpsite Rehabilitation Studies in Asia. Royal School of Arts. Kriipsalu, M., Nammari, D., Marques, M., Hogland, W. (2008). An integrated monitoring system for optimisation of biopile composting. Conference Paper Summaries, the 6th International Conference ECN-ORBIT 2008 : Moving organic waste recycling towards resource management and biobased economy. cd rom 130. Nammari, D.R., Kriipsalu, M., Marques, M., Hogland, W. (2008). An Integrated Monitoring System for Optimisation of Biopile Composting.. Proceedings on CD ROM. Hogland, W., Hogland, M., Marques, M. (2008). Financial Aspects of Landfill Mining. Royal School of Arts, London, UK..
Hogland, W., Marques, M. (2008). Fires in storages of organic materials. Proceedings of the 7th International Youth Environmental Forum of Baltic region Countries-Ecobaltica 2008. 24-32. Tamaddon, F., Hogland, W. (2007). Characterization and co-incineration of waste in a paper mill : a case study. Proceedings of Kalmar Eco-Tech'07, technologies for WAste and Wastewater Treatment, Energy from Waste, remediation of Contaminated Sites and Emissions Related to Climates, the 6th International Conference on the Establishment of Cooperation Between Companies and Institutions in the Nordic Countries, the Baltic Sea Region and the World. v2, 657-666. Kaczala, F., Marques, M., Hogland, W., Nammari, D. (2007). Treatment of an Industrial effluent with high concentrations of Formalin and COD: Sequential Batch Reactor (In Portuguese). ABES. Kaczala, F., Marques, M., Hogland, W. (2007). Toxicity of an Industrial Wastewater withFormaldehyde. Effects over Activated SludgeToxicity of an Industrial Wastewater withFormaldehyde. Effects over Activated Sludge. 24º Congresso Brasileiro deEngenharia Sanitária e Ambiental - ABES. Belo Horizonte/MG- Brazil24º Congresso Brasileiro deEngenharia Sanitária e Ambiental - ABES. Belo Horizonte/MG- Brazil. Kaczala, F., Marques, M., Hogland, W., Nammari, D.R. (2007). Tratamento de efluente industrial com altas concentrações de formaldeído e DQO: Reator sequencial em batelada - Escala de laboratório (Treatment of Industrial Effluents of high Concentrations of Formaldehyde and COD). 24o CBESA. Kaczala, F., Marques, M., Hogland, W. (2007). Formaldehyde Toxicity studies over activated sludge (In portuguese). .
Kaczala, F., Marques, M., Hogland, W. (2007). Preliminary Treatability Test of a Non-Conventional Industrial Waste Water in the Wood Sector: COD and Formalin Reduction. University of Kalmar II. Vergeles, Y., Butenko, A., Ischenko, A., Svrineko, L., Stolberg, F., et al. (2007). Studying the Properties of Constructed Wetland Sediments for their Possible Application as Fertilizizers. The University of Kalmar I.
Hogland, W., Marques, M., Björklund, B. (2007). Fires in Organic Wastes storages: Prevention, Fire Fighting and After Care. The University of Kalmar I.
Hogland, W., Marques, M., Björklund, B. (2007). Fires in organic wastes storages : prevention, fire fighting and care. Proceedings of Kalmar Eco-tech'07, technologies for Waste and Wastewater treatment, Energy from Waste, Remediation of Contaminated Sites and Emissions Related to Climates. vol1.3-10. Hogland, W., Marques, M. (2007). Fires in Storage Areas for Organic Waste. Allied Publishers Pvt.Ltd I.
Kaczala, F., Marques, M., Hogland, W. (2007). Preliminary Treatability test of a Non-Conventional Industrial Wastewater in the Wood Sector: COD and Formalin removal.. University of Kalmar Volume I.
Hogland, W., Marques, M. (2007). Sustainable waste management : International perspectives. Proceedings of the International Conference on Sustainable Solid WAste Management. 1-8. Hogland, W., Marques, M. (2007). Sustainable Waste Management: International Perspectives. Allied Publishers Pvt.Ltd I.
Tamaddon, F., Hogland, W. (2007). Characterization and Co-incineration of Waste in a Paper Mill- A Case Study. University of Kalmar II. Kaczala, F., Marques, M., Hogland, W. (2007). Estudo da toxicidade de formaldeído presente em um efluente industrial sobre lodos ativados (Studies of Toxicity of Formaldehyde Present in a Industrial Effluent with Activated Sludge). 24o CBESA. Tamaddon, F., Hogland, W. (2007). Incineration of plastic and paper waste with coal in a circulating fluidized bed incinerator. Book of abstracts of the 8th International Seminar on Polymer Science_and_Technology. 3-290. Kaczala, F., Marques, M., Hogland, W. (2007). The Use of Respirometry for the evaluation of an Industrial Wastewater toxicity over activated sludge.. University of Kalmar Volume I.
Kaczala, F., Marques, M., Hogland, W. (2007). The use of Respirometry for the Evaluation of an Industrial Wastewater Toxicity over Activated Sludge. University of Kalmar II. Kaczala, F., Marques, M., Hogland, W. (2007). The Use of Respirometry for the Evaluation of anIndustrial Wastewater Toxicity over Activated SludgeThe Use of Respirometry for the Evaluation of anIndustrial Wastewater Toxicity over Activated Sludge. Kalmar ECO TECH´07 – 6th InternationalConferences on Waste and Wastewater Treatment, Energy from Waste, Remediation of ContaminatedSites and Emissions Related to Climates.Kalmar ECO TECH´07 – 6th InternationalConferences on Waste and Wastewater Treatment, Energy from Waste, Remediation of ContaminatedSites and Emissions Related to Climates..
Kaczala, F., Marques, M., Hogland, W. (2007). Treatment of Industrial Effluentwith high COD and Formaldehyde. Sequential Batch Reactor - Laboratory ScaleTreatment of Industrial Effluentwith high COD and Formaldehyde. Sequential Batch Reactor - Laboratory Scale. 24ºCongresso Brasileiro de Engenharia Sanitária e Ambiental - ABES. Belo Horizonte/MG- Brazil24ºCongresso Brasileiro de Engenharia Sanitária e Ambiental - ABES. Belo Horizonte/MG- Brazil. Kängsepp, P., Dahlblom, P.L., Hogland, W. (2005). Hydrological Aspects of an Industrial Landfill. RVFs Proceedings of Kalmar Eco-Tech 05 Waste to Energy, Bioremediation and Leachate Treatment; The Second Baltic Symposium on Environmental Chemistry; The First Kalmar Nanotechnology Workshop, the 5 th International conference on the establishment of cooperation between companies/institutions in the Nordic countries and countries in the Baltic See Region, Utvecklingssatsning Deponering rapport nr 2. Kazlauskiene, N., Vosyliene, M.Z., Ratkelyte, E., Karlaviciene, V., Hogland, W. (2005). The use of Rainbow Trout Oncorhynchus Mykiss in Early Onogenesis for the Water Toxicity Assessment. Kalmar Eco-Tech 05 Waste to Energy, Bioremediation and Leachate Treatment; The Second Baltic Symposium on Environmental Chemistry; The First Kalmar Nanotechnology Workshop, the 5 th International conference on the establishment of cooperation between companies/institutions in the Nordic countries and countries in the Baltic See Region RVFs Utvecklingssatsning Deponering rapport nr 3. Marciulioniene, D., Montvydiene, D., Karlaviciene, V., Hogland, W. (2005). Lepedium Sativum L. as Test-organism for Assessment for Environmental Pollution. Kalmar Eco-Tech 05 Waste to Energy, Bioremediation and Leachate Treatment; The Second Baltic Symposium on Environmental Chemistry; The First Kalmar Nanotechnology Workshop, the 5 th International conference on the establishment of cooperation between companies/institutions in the Nordic countries and countries in the Baltic See Region RVFs Utvecklingssatsning Deponering rapport nr 3. Nammari, R., Mårtensson, L., Hogland, W., Mathiasson, L. (2005). Emission from baled waste during seasonal and temorarily storage for energy recovery in Sweden : Conclusion of four year studies (abs). 2nd updated edition, Proceedings of Kalmar Eco-Tech'05 Waste to Energy, Bioremediation and Leachate Treatment; The 2nd Baltic Symposium on Environmental Chemistry; The 1st Kalmar Nanotechnology Workshop, the 5th International conference on the establishment of cooperation between companies/institutions in the Nordic countries and countries in the Baltic Sea Region, RVFs utvecklingssatsning Deponering rapport n.3. 155. Hogland, W. (2005). Storm water in a historical perspective and selected case studies (abs). The 2nd updated edition. Proceedings of Kalmar Eco-Tech'05 Waste to Energy, Bioremediation and Leachate Treatment; The 2nd Baltic Symposium on Environmental Chemistry; The 1st Kalmar Nanotechnology Workshop, The 5th International Conference on the establishment of cooperation between companies/institutions in the Nordic countries and countries in the Baltic sea Region. RVFs Utvecklingssatsning Deponering Report n2. 277. Hogland, W., Shepeleva, A., Andersson, H. (2004). Application of the cost-benefit analysis to landfilling: practical aspects. Proceedings of Waste 2004 Conference, 28-30 September 2004, Stratford-upon-Avon, Warwickshire, England. Hogland, W., Marques, M., Nammari, D.R. (2004). Baling of solid waste as strategy for storage and energy recovery (Compactação e enfardamento plástico de resíduos sólidos como estratégia de armazenamento para recuperação energética. In Portuguese). Congresso Nacional de Meio Ambiente, Salvador II. Hogland, W., Shepeleva, A., Andersson, H. (2004). Practical aspects of application of the cost-benefit analysis to landfilling. Proceedings of APLAS Kitakyushu 2004, the 3rd Asian Pacific Landfill Symposium, October 27-29, 2004, Kitakyushu, Japan. Hogland, W., Marques, M. (2004). Stormwater from urban and industrial areas and pollution of water bodies (O papel das águas pluviais em áreas urbanas e indústrias na poluição dos corpos hídricos. In Portuguese). Congresso Nacional de Meio Ambiente, Salvador II. Hogland, W., R. Dinesh, M. (2004). Water Budget for a Landfill in Sweden. Book of Abstracts of the 5th Youth Environmental Forum ECOBALTICA. Hansson, S., Kruuse, M., Hogland, W. (2003). Pilot-scale Experiments on Biodegradation of Engine Oil by Composting and Bioaugmentation. Kalmar University, Book of Abstrackts Kalmar Eco-tech´03 p 43. Hogland, W., Thörneby, L., Mathiasson, L., Mårtensson, L. (2003). Water Budgets as a Tool for Landfill Owners and Decision Makers. Kalmar University, Proceedings Kalmar Eco-tech´03, Kalmar, p.83. Kängsepp, P., Hogland, W., Timmusk, T. (2002). Laboratory Tests of Estonian Landfill Leachate. Kalmar Eco-Tech’ 01- Leachate and Waste Water Treatment with High-Tech and Natural Systems. The 3rd Conference on the Establishment of Cooperation Between Companies/Institutions in the Nordic Countries and the Countries in the Baltic Sea Region. Mårtensson, L., Mathiasson, L., Bergström, S., Svensson, B., Thörneby, L., et al. (2001). Efficiency of treatment methods - emphasizing organic pollutants. University of Kalmar Kalmar Eco-Tech'01, 26-28 November 2001, Kalmar, Sweden. Nammari, D.R., Hogland, W., Marques, M. (2001). Treatment Methods for Stormwater Runoff Originated in Various Areas in a Waste Management Park. Proceedings of Kalmar Eco-Tech’01 - Leachate and Waste Water Treatment with High-Tech and Natural Systems, the 3rd Conference on the Establishment of Cooperation Between Companies/Institutions in the Nordic Countries and the Countries in the Baltic Sea Region. Hogland, W., Mathiasson, L., Bergström, S., Mårtensson, L., Svensson, B. (2001). Analytical methodology for evaluation of the effects of different leachate treatment methods. University of Kalmar Proceedings of ECO-TECH'01, 26-28 November 2001, Kalmar, Sweden. Hogland, W., Thörneby, L. (2000). Leachate Treatment in Sweden and some other Parts of the World – An overview of research activities. Proceedings of the Seminar on Local Treatment of Leachate – Characterisation, Experineces and Future (Seminarium om lakvattenrening: Lokal rening av lakvatten – karakterisering, erfarenheter , framtiden). Paulsson, B., Hogland, W. (1999). Effect of European Union Landfill Directive on the Baltic Sea Region. University of Kalmar Proceedings of Kalmar ECO-TECH'99, Kalmar, Sweden. Hogland, W., Thörneby, L., Alm, E., Lindén, A., Dahl, H., et al. (1999). Local Treatment of Leachate from MSW Landfills Using Soil Plant-System. University of Kalmar Kalmar ECO-TECH'99, Kalmar. Joseph, K., Nasgendran, R., Thanasekaran, K., Visvanathan, C., Hogland, W., et al. (2008). Dumpsite Rehabilitation Manual. India, Centre for Environmental Studies, Ann University, Chennai – 600 025 India. Alriksson, S., Hakuli, M., Helo, P., Hogland, W., Kekäle, T., et al. (2006). Key Areas of Environmental Entrepreneurships and Relevant Legal, Finacial and Organizational Framework. Tempus-Tacis IB_JEP-23100-2002. Hogland, W., Marques, M. (2000). Waste Management in Developing Countries. In: V.I. Grover, B.K. Guha, W. Hogland, S.G. McRae (Org). Solid Waste Management, pp. 22-36. Oxford & IBH Publishing Co. Pvt. Ltd.
Grover, V., Grover, V., Hogland, W. (1999). Solid Waste Management. Oxford & IBH Publishing CO.PVT.LTD. Hogland, W. (1997). Poligonnye Tehnologii. Ecotehprom. Hogland, W., Joseph, K., Marques, M. (2008). Financial Aspects on Landfill Mining and Land Reclamation. PressWASTEconomics: Turning waste liabilities into assets. Middlesex University Press. 57-69. Hogland, W., Stenis, J. (2008). The Economics of Waste Management: Applying the Equality Principle.. WASTEconomics: Turning waste liabilities into assets. Middlesex University Press. 33-40. Hogland, W., Marques, M. (2007). Contribution from End of Life Phase to the Total Cost Estimation.. Design of Functional Units for Products by Total Cost Accounting Approach. Sweden, VINNOVA REPORT, VR. Hogland, W., Marques, M. (2006). Environmental Management Systems. Key Areas of Environmnetal Entrepreneurships and Relvant Legal, Finacial and Organizational Framwork. Tempus-Tacis IB_JEP-23100-2002. 358-373. Hogland, W. (2006). ISO 14001. Key Areas of Environmnetal Entrepreneurships and Relvant Legal, Finacial and Organizational Framwork. Tempus-Tacis IB_JEP-23100-2002. 374-390. Marques, M., Da Silva, E. .R., Hogland, W. (2006). Strategic impact assessment and root causes of pollution in a transboundary drainage basin in Brazil. Water : Global Common and Global Problems. Science Publishers Inc.. 113-134. Marques, M., Hogland, W. (2004). Environmental and socioeconomic impacts associated with climate changes in Brazil. Climate Change : five Years after Kyoto. CRC Press. 397-414. Marques, M., Hogland, W. (2000). Solid Waste Management in Latin America and the Caribbean. Solid Waste Management. Rotterdam, Balkema. Marques, M., Hogland, W. (1999). Solid waste as ore : Scavenging in developing countries. Solid Waste Management. India, Oxford and IBH Publishing Co. 313-325. Marques, M., Hogland, W. (1999). Solid waste management in Latin America and the Caribbean. Solid Waste Management. India, Oxford and IBH Publishing Co. 299-312. Hogland, W., Marques, M. (1999). Waste management in developing countries. Solid Waste Management. India, Oxford and IBH Publishing Co. 21-36. Hogland, W. (1992). Methodology for establishment of environmental plans for old landfills. Water Development and the Environmemnt. Lewis Publisher. 120-134. Berndtsson, R., Hogland, W., Larsson, M., Niemczynowicz, J. (1986). Aspects of computer modelling techniques for a semi-arid small catchment in Tunisia, Urban Drainage Modeling. Proceedings of the International Symposium on Comparison of Urban Drainage Models with Real Catchment Data, UDM'86. Dubrovnik, Yugoslavia, Pergamon Press. 285-291. Berndtsson, R., Hogland, W., Larsson, M. (1986). Mathematical modelling of combined sewer overflow quality, urban drainage modelling. Proceedings of the International Symposium on Comparison of Urban Drainage Models with Real Catchment Data, UDM'86. Dubrovnik, Yugoslavia, Pergamon Press. 305-315. Rupar-Gadd, K., Wiman, B., Ibrahim, M.A., Laohaprapanon, S., Hogland, W. (2014). A theoretical and experimental framework for the study of vegetation as a screen against aerosol pollution. 50. Lönnermark, A., Persson, H., Blomqvist, P., Hogland, W. (2008). Biobränslen och avfall – brandsäkerhet i samband med lagring (Biofuels and solid waste – fire safety in connection with storage). Borås, Prestudy and preparation of research programme for BRANDFORSK (project 808-08). 80. Carlsson, B., Taylor, D., Hogland, W., Marques, M. (2007). Design of Functional Units for Products by a Total Cost Accounting Approach. VINNOVA. Carlsson, B., Hogland, W., Taylor, D., Marques, M. (2005). Design for Functional Units for Products by a Total Cost Accounting Approach. VINNOVA. Hogland, W. (2005). Progress Evaluation of the Sustainable Solid Waste Landfill Management (SWLF) in Asia. The Asian Regional Research Program on Environmental Technology (ARRPET) and the Swedish International Development Cooperation Agency (Sida). p 5. Carlsson, B., Hogland, W., Johansson, M., Robertson, K., Sundqvist, J. (2002). Integrerade avfallsflöden och omvänd logistik som drivande variabler för innovations system i regionalt perspektiv för minskad miljöpåverkan och resursanvändning. Vinnova. Nammari, D.R., Hogland, W. (2001). The Baling of Waste Fuels at Västerviks Värmeverk AB and Associated Problems with Emphasis on Odours. Sweden, Department of Technology, University of Kalmar. 53 pp. Marques, M., Hogland, W. (2000). GIWA Methodology Testing in the Baltic Region – Detailed Impact Assessment - Environmental and Socio-Economic Impact Indicators, GIWA – Global International Waters Assessment, UNEP/GEF. The 2nd Baltic Test Team Meeting. Sweden, Department of Technology, University of Kalmar. 121 pp. Marques, M., Hogland, W. (2000). GIWA Methodology Testing in the Baltic Region – Causal Chain Analysis Component, GIWA – Global International Waters Assessment, UNEP/GEF. The 2nd Baltic Test Team Meeting. Sweden, Department of Technology, University of Kalmar. 180 pp. Marques, M., Hogland, W. (2000). GIWA Methodology Testing in the Baltic Region – Scoping/Scaling Component, GIWA – Global International Waters Assessment, UNEP/GEF. The 1st Baltic Test Team Meeting, St. Petersburg, Russia. Sweden, Department of Technology, University of Kalmar. 55 pp. Hogland, W., Nimmermark, S., Berg, S., Anderberg, H. (1999). Rening av Process- och avloppsvatten med TTM-Produkters Preclean- Försstudie. Department of Technology, University of Kalmar. Hogland, W. (1999). Research Programme in Environmental Science and Technology. Sweden, Department of Technology, University of Kalmar. 92 pp. Hogland, W., Nimmermark, S. (1998). Heavy metals in the sludge from Hässleholm municipal waste water treatment plant. University of Kalmar. Hogland, W., Nimmermark, S., Larsson, L., Bladh, H. (1998). Excavation at the landfills Måsalycke and Gladsaxe- landfill mining and modern archeology. University of Kalmar. 88. Hogland, W., Fejes, J., Vought, L. (1998). Pre-study of possibilities of stormwater management within three areas in the community of Täby. Swedish Environmental Research Institute. Hogland, W. (1998). Biological phosphorous separation and methane production - a literature survey with focus on continous measurement of the biological activity in the water. University of Kalmar. Hogland, W., Nimmermark, S. (1998). Composting by the vertical composting reactor - a preliminary study of the ICD-composting reactor. University of Kalmar. Hogland, W., Marques, M., Thörneby, L. (1998). Exercise in Waste Management and Recovery. University of Kalmar. Grover, V.I., Grover, V.K., Hogland, W. (2002). Recovering Energy from Waste: Various Aspects. Enfield, NH, USA/Plymouth, UK, Scientific Publishers Inc. 338 pp. Kumar, E., Rosenlund, J., Kaczala, F., Hogland, W. (2012). Linnaeus Eco-Tech 2012 proceedings : Eighth International Conference on the Establishment of Cooperation Between Companies and Institutions in the Nordic Countries, the Baltic Sea Region, and the World. Conference on Natural Sciences and Environmental Technologies for Waste and Wastewater Treatment, Remediation, Emissions Related to Climate, Environmental and Economic Effects. -. Fiodorov, M., Hogland, W., Rud, V. (2008). Proceeding of the International Youth Science Envrionmnetal Forum "EcoBaltica 2008". St. Petersburg, Russia, St. Petersburg State Polytechnic University. 362. Kaczala, F., Juanga, J., Hogland, W., Marques, M., Vinrot, E. (2007). Proceedings of: 6th International Conference on Technologies for Waste and Wastewater treatment, Energy from Waste, Remediation of Contaminated Sites, Emissions Related to Climate.. University of Kalmar. 494 pp. Kaczala, F., Juanga, J., Hogland, W., Marques, M., Vinrot, E. (2007). Proceedings of: Kalmar Eco-Tech 2007. 6th International Conference on Technologies for Waste and Wastewater treatment, Energy from Waste, Remediation of Contaminated Sites and Emissions Related to Climate.. University of Kalmar. 500pp. Kaczala, F., Juanga, J., Marques, M., Hogland, W. (2007). Proceedings of the Kalmar Eco-Tech 07, Technologies for Waste and Wastewater Treatment , Energy from Waste, Remediation of Contaminated Sites and Emissions Related to Climates, 6th International Conference on the Establishment of Cooperation Between Companies and Institutions in the Nordic Countries, the Baltic Sea Region and the World. Kalmar, Sweden, University of Kalmar. 983. Fiodorov, M.P., Hogland, W., Rud, V.Y. (2006). Book of Proceedings of ECOBALTIC 2006 – The VI International Youth Environmental Forum. St. Petersburg, Russia, St. Petersburg State Polytechnic University. 230 pp. Hogland, W., Broby, T. (2005). Proceedings of Kalmar Eco-Tech 05 Waste to Energy, Bioremediation and Leachate Treatment; The Second Baltic Symposium on Environmental Chemistry; The First Kalmar Nanotechnology Workshop, the 5 th International conference on the establishment of cooperation between companies/institutions in the Nordic countries and countries in the Baltic Sea Region. RVFs Utvecklingssatsning Deponering. 657. Fiodorov, M.P., Hogland, W., Rud, V.Y. (2004). Proceedings of the V th International Forum Ecobaltica. St. Petersburg, Russia, Forum Ecobaltica. Manandhar, D.R., Hogland, W. (2004). Water Budget for a Landfill in Sweden. St.Petersburg, Russia, Book of Abstracts of the V-th Youth Environmental Forum ECOBALTICA ´2004. 75 pp. Hogland, W., Kuznetsova, N. (2003). Bioremediation and Leachate Treatment. University of Kalmar. 142 pp. Hogland, W., Vysniauskaite-Karlaviciene, V. (2002). Proceedings of Kalmar Eco-Tech’ 01- Leachate and Waste Water Treatment with High-Tech and Natural Systems. The 3rd Conference on the Establishment of Cooperation Between Companies/Institutions in the Nordic Countries and the Countries in the Baltic Sea Region. Kalmar, Sweden, Kalmar University. 304 pp. Fedorov, M., Rud, V.Y., Hogland, W. (2000). Proceedings of the 3rd International Youth Environmental Forum ECOBALTICA. St-Petersburg, Russia, St. Petersburg State Technical University. 268 pp. Rud, V.Y., Hogland, W., Vasiliev, Y. (1999). Proceedings of the 2nd International Youth Environmental Forum ECOBALTICA´98. St. Petersburg State Technical University, Russia, and Department of Technology, University of Kalmar, Sweden. 190 pp. Hogland, W. (1999). Proceedings of Kalmar Eco-Tech’99 – Ecological Technology and Management, the 2rd Conference on Establishment of Cooperation Between Companies/Institutions in the Nordic Countries and the Countries in the Baltic Sea Region. Sweden, Kalmar University. 558 pp. Hogland, W. (1998). Proceedings of the 2nd International Youth Environmental Forum ECOBALTICA´98. St Petersburg State Technical University, Russia. 190 pp. Hogland, W. (1997). Proceedings of the Seminar on Waste Management and the Environment. University of Kalmar. 367 pp. Hogland, W. (2002). Landfill Mining and Remediation old Landfill Sites in Perspective of EU Landfill Directive. Sustainable Waste Management. Berg, J.E., Glt-Avfall, G., Marika, H., Hogland, W. (2009). Hvorfor grave ut "gammel moro"?. Kretsløpet - Tidsskrift for avfall og gjenvinning. dec. 25-27. Stenis, J., Hogland, W. (2006). Räkna ut rätt avfallspris! (Calculate a correct price for the waste material!). Debattartikel SVR, Väg och vattenbyggaren 3. 37-38. Hogland, W. (2000). Miljöteknik och miljövetenskap (Environmental Technology and Environmental Science). Nyckelen. 9/00. 16-31. Hogland, W. (1997). Reverse osmosis for local treatment of leachate from sanitary landfills. Stadsbyggnad. 2. 28-29. Hogland, W. (1997). Storage of waste fuels. Byggbalken. 97. 7-11. Ibrahim, M.A., Hogland, W. (2013). Building smart cities: security against risk for spontaneous fires at temporary storage sites of waste fuels and recyclables. CPEXPO community protection.